Built in 1927 and extensively renovated in 2007 through 2011, Marlborough House is an irreplaceable, one-of-a-kind, gem in Seattle’s First Hill neighborhood. 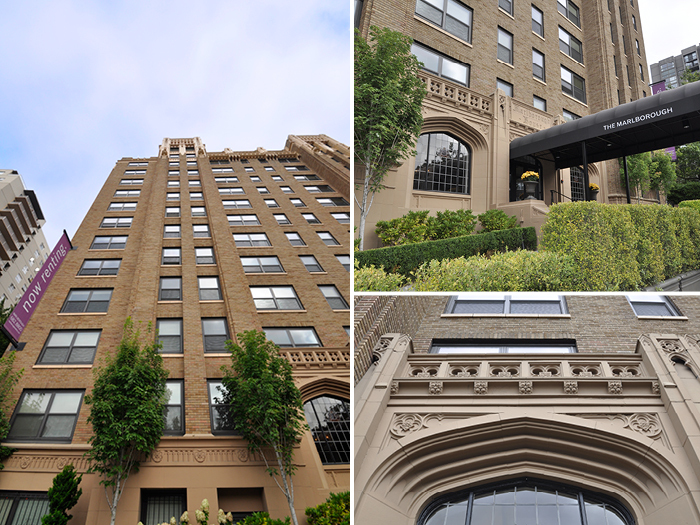 This historic building offers sweeping views of downtown Seattle, Lake Union and Elliot Bay and features arched windows, elaborate terra cotta carvings and marble floors in the lobby area. Unit features include refinished oak floors, detailed crown molding, french doors, quartz countertops and stainless appliances. Residents can enjoy a 6,000 square foot resort-quality outdoor area that includes an outdoor fire pit, gas grills and resident gardens.